Home Columns What’s Next for Balochistan? Weeks after the July 25 general elections were held, Balochistan also has a new government in place. On August 19, Jam Kamal took oath as the chief minister of Balochistan. He heads the Balochistan Awami Party (BAP)-led government with the support of the PTI, the ANP, the BNP-Awami, and the Hazara Democratic Party. Now that Balochistan has a new government and new members in the provincial assembly, the question that arises is: what difference will the new arrangement make for the province? The roots of the BAP can be traced back to the rebellion of former PML-N members against former chief minister Sanaullah Khan Zehri in January 2018. The BAP was formed at the end of March 2018. The party’s primary aim is to ensure that all decisions pertaining to Balochistan are made in Balochistan alone. However, the general impression is that BAP was created by the powers that be to consolidate control on the government of Balochistan. Therefore, Jam Kamal has assumed office with a huge baggage that he has to reckon with. Jam Kamal has ambitious plans to reform Balochistan – or so he claims. Jam Kamal wants to bring a plethora of reforms in the corruption-infested, gravely mismanaged and poorly-governed province. He has announced his decision to establish complaint cells in all districts of Balochistan that will work under a central cell in the CM’s Secretariat. These cells will ensure good governance in the province and will also take note of the complaints and grievances put forward by the people. Besides, he also wants to address the inconsistencies in the flawed Public Sector Development Programme (PSDP), which constitutes the development component of Balochistan’s budget. He wants to introduce a strategy that prioritises integrated development planning rather than small development schemes that are predominantly based on the whims of MPAs. Can Jam Kamal achieve all these ambitious targets? Jam Kamal is considered to be a person of a ‘clean character’ and there are no allegations of corruption or bad governance against him. He is also far better than the other set of politicians owing to his professional approach to governance. However, the biggest obstacle that Jam Kamal might face is from the old guard within the BAP. An overwhelming majority of MPAs who are affiliated with the BAP include so-called electables who have always won their seats and have been in power for a long time. So, if Jam goes ahead with suspending the development funds for MPAs, he will earn the ire of lawmakers from his own party who tend to base their political gains on these funds. If such a situation arises, it will become increasingly difficult for the new CM of Balochistan to implement his reforms agenda. There are already a large number of disgruntled MPAs in the BAP who had aspirations to become CM. But they didn’t get the opportunity. Therefore, Jam Kamal will have to tread a thorny path in the months to come. Moreover, another change in the political landscape of Balochistan is the revival of the BNP-Mengal. For the first time since 1997, this party has won a sizeable number of seats in national and provincial assemblies. Sardar Akhtar Mengal, the former CM of Balochistan, ought to be credited for leading his party towards its victory in the 2018 polls. However, he orchestrated a very different and unexpected move. Rather than joining the Balochistan government and enjoying bounties of power, he decided to sit in the opposition. This is an extremely bold move given the fact that the BNP-Mengal hasn’t been in power for a long time. Now, the party will spend another five years in the opposition, even when it has sizeable strength in the assembly. Moreover, Mengal also took an unexpected decision, which wasn’t foreseen by political pundits. While he announced his decision to support the PTI government at centre, he didn’t ask for any ministries in return for his allegiance – unlike the other coalition partners of the PTI. Mengal made his support to the PTI contingent on the implementation of a six-point agenda for Balochistan. Through these six points, he requested the federal government to recover the missing persons in Balochistan; prevent demographic changes in the province; and renegotiate the share of Balochistan in mineral resources. So, the BNP-Mengal has set a unique precedent by prioritising the people of Balochistan over seeking control of federal ministries. This comes across as a refreshing change in Balochistan’s political milieu. In essence, the BNP-Mengal chief has played a masterstroke. He realised that if he joined the Balochistan government, then he wouldn’t have full powers. Mengal feared that joining the Balochistan government would result in the BNP-Mengal meeting the same fate that the National Party (NP) and the PkMAP suffered. 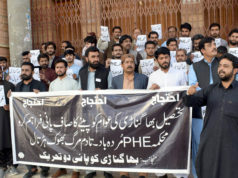 These parties were part of the Balochistan government for four-and-a-half years during the previous government’s tenure and were embroiled in bad governance and nepotism. 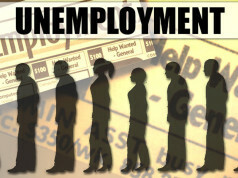 Consequently, they lost favour among their voter base and were miserably defeated in the elections. Both the NP and the PkMAP have joined the anti-rigging bandwagon in the aftermath of the elections. However, it was already apparent that these parties were doomed to fall out of favour; the rigging allegations are little more than a face-saving mechanism. Mengal has tactfully avoided this fate by joining the opposition in the Balochistan Assembly. Moreover, Akhtar Mengal’s passionate speech at the inaugural session of the National Assembly has already raised his political stakes. If he manages to persuade the PTI government to even implement half of his six points, it will consolidate his legacy as a Baloch nationalist leader for many years to come. To achieve this, he will need to constantly pressurise the PTI government and avoid the temptation to join the Balochistan government in case Jam faces an in-house revolt within the BAP. 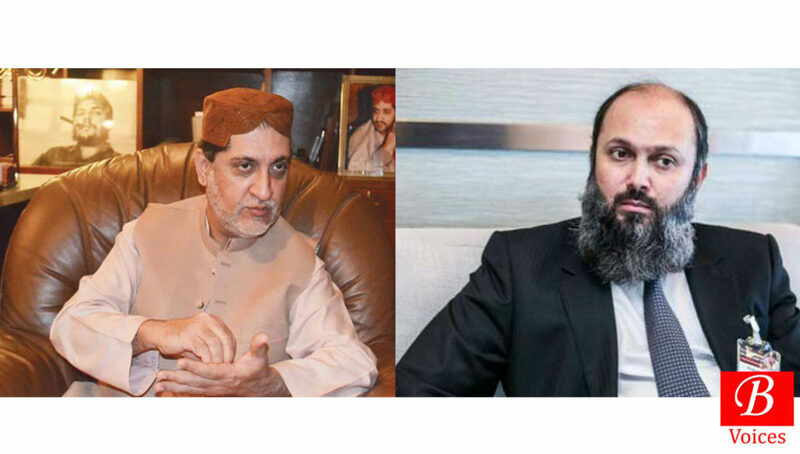 The rise of both Jam Kamal and Akhtar Mengal has made the political atmosphere pregnant with the hope of a better tomorrow in Balochistan. They should be given a chance to deliver. If they are successful, it will mark the beginning of the end of Balochistan’s problems. Adnan Aamir is founder and Editor of Balochistan Voices. He also contributes for The News, The News on Sunday and Newsline Magazine amongst others as a freelancer. He has completed Chevening South Asian Journalism fellowship from the University of Westminster.